While literary types may know November as the month to write crappy novels, those of us of the hirsute persuasion know it simply as Movember. 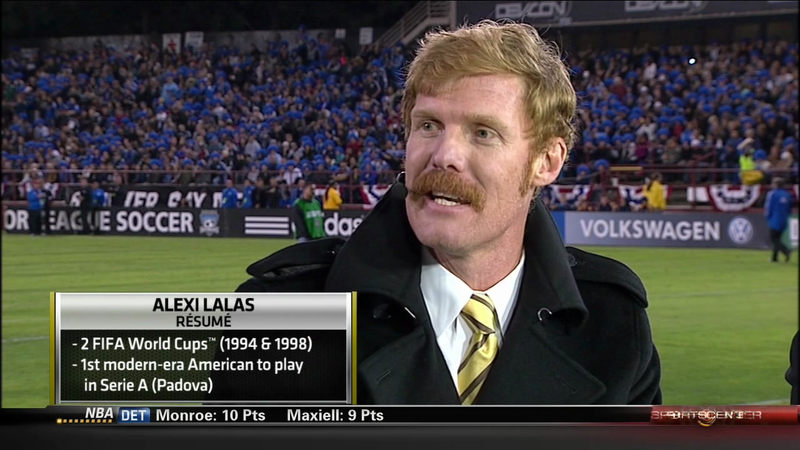 While many of us have significant others whose aversion to upper lip hair preclude participation, it seems ESPN soccer commentator Alexi Lalas is not one of them. We're not sure why he suddenly started speaking a halted, gutteral German halfway through the broadcast, though.